Simplify your business processes and easily create stronger relationships with your vendors by collaborating with them in a secure, online environment. Vendor Portal Management System is a software application that allows business manage multiple companies that supply labor to them. In specific, its focused on your business process needs, manage Vendors / Suppliers who support OEM’s on Warranty, Service Parts, and Quality Improvement. This solution offering helps businesses to manage Vendor relationships and communication throughout the product life-cycle. Besides, here you could measure vendor performance collaboratively and seamless access everything related to all your vendor’s from a single place. ANGLER’s Vendor Portal Management is made up of services and workflows to enable OEM and Vendor collaboration during the service life-cycle and thereby enhance customer service, optimize costs, and improve quality. Authorized user can Log-in from a web browser and access all available information 24 X 7. With this vendor portal application system you can centralize & easily manage the global vendors, suppliers across the world by supporting currencies, and localization. The cost-effective subscription model with option (Cloud/In-House Hosting) eliminates upfront investment in costly infrastructure, license and implementation services. Scalability & Adaptability that makes the most sense to you. 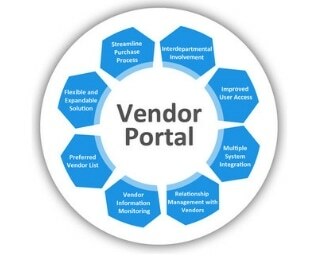 To Empower your Vendors Contact ANGLER Technologies & speak with a representative or schedule a free vendor portal management demo by leaving an enquiry.